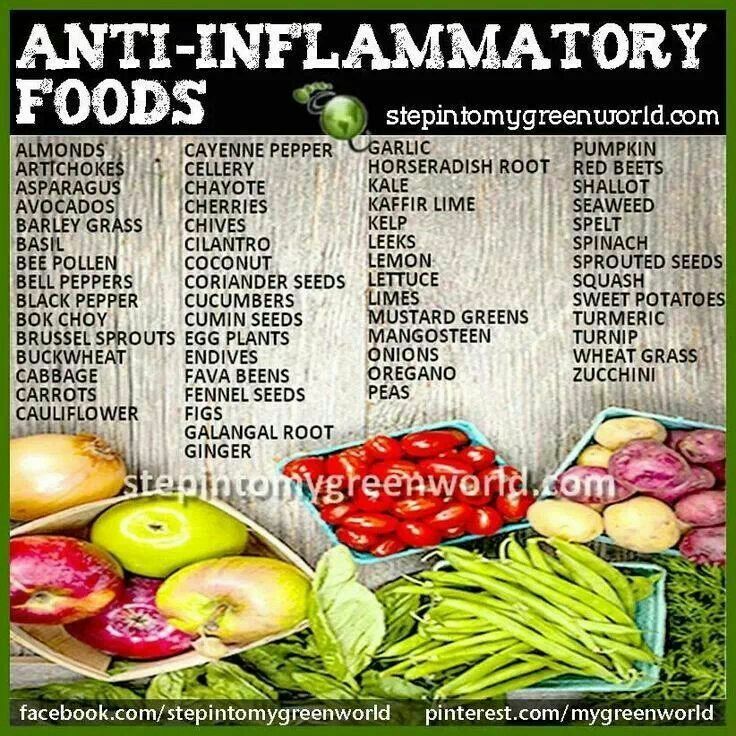 Inflammation in the body causes or contributes to many debilitating, chronic illnesses — including osteoarthritis, rheumatoid arthritis, heart disease,Alzheimer’s disease, Parkinson’s disease, and even cancer. That’s why, as a doctor and founder of the Kaplan Center for Integrative Medicine, I recommend my patients eat a diet focused on anti-inflammatory principles. Plus, although the goal is to optimize health, many people find they also lose weight by following an anti-inflammatory eating pattern. For an extra punch, add anti-inflammatory herbs and spices — such asturmeric and ginger — to your cooked fruits and vegetables to increase their antioxidant capacity. By keeping saturated fat low (that’s about 20 grams per 2,000 calories), you’ll help reduce the risk of heart disease. You should also limit red meat to once per week and marinate it with herbs, spices, and tart, unsweetened fruit juices to reduce the toxic compoundsformed during cooking. Virgin and extra-virgin olive oil and expeller-pressed canola are the best bets for anti-inflammatory benefits. Other options include high-oleic, expeller-pressed versions of sunflower and safflower oil. If you’re a snacker, aim for fruit, plain or unsweetened Greek-style yogurt (it contains more protein per serving), celery sticks, carrots, or nuts like pistachios, almonds, and walnuts. Avoid refined sugars whenever possible and artificial sweeteners altogether. The dangers of excess fructose have been widely cited and include increased insulin resistance (which can lead to type-2 diabetes), raised uric acid levels,raised blood pressure, increased risk of fatty liver disease, and more.